Toxicology reports show that there were "no illegal substances" in Amy Winehouse's system when she died, a family spokesman says. The tests showed that "alcohol was present" in the 27-year-old singer's body when she passed away in her London apartment on July 23, but it hasn't been determined if it played a role in her premature death, spokesman Chris Goodman told The Associated Press. Her family is still unsure of what killed the "Rehab" singer. An initial autopsy was inconclusive and Scotland Yard told TMZ in July no foul play was suspected. 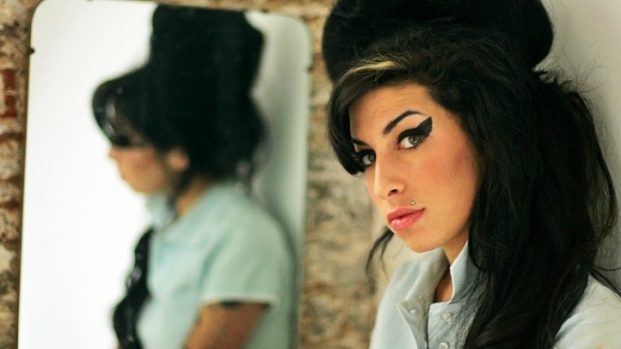 Winehouse had struggled with drug and alcohol addictions, spending time in and out of rehab for the past several years. Goodman said her family awaits the outcome of an inquest due to begin in October.